2091 126TH Street Surrey V4A 7E1 : Crescent Bch Ocean Pk. 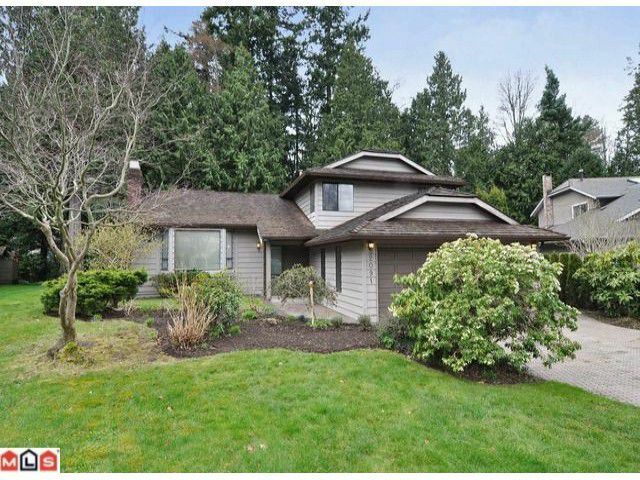 Ocean park 3 level split home, on a spacious larger lot backing on to lush treed green space for privacy. One of the nicer streets in desirable West White Rock. 3 bdrms up 1 bdrm/den on main floor. Master has ensuite & double closet.2 full & 1.5 bathrooms. Family room. Plenty of extras; BI vac, wood burning f/p, large double garage w/work bench & shelving. Wooden 2 level patio w/lattice for plants next to walk-in garden shed. Walk to Crescent Beach, shops, good schools & transportation direct to downtown Vancouver. All the amenities of central White Rock nearby, & yet this home is situated w/very little between it & clean, fresh SW ocean breeze!